Are you a small business owner who likes to think BIG? Then this podcast is for YOU. 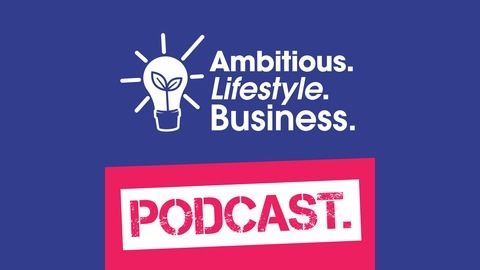 It's a place where AMBITIOUS business owners learn and share SIMPLE, PRACTICAL tips and advice to help their businesses GROW with ONE purpose... TO PROVIDE THEM WITH THE LIFESTYLE THEY WANT. Whatever that means for YOU... Maybe you want to earn £100k a year? Maybe you want to spend more time with friends and family, or travel more? You might want to give up the Day Job, or completely change direction in your business. Perhaps you want to retire in X years? Remove yourself from doing the jobs you HATE? Sack your problem clients? This monthly podcast is 100% FREE. There's no ads. No spammy upsells. No fluffy, woo-woo BS. Just simple, practical help to grow YOUR Ambitious Lifestyle Business. 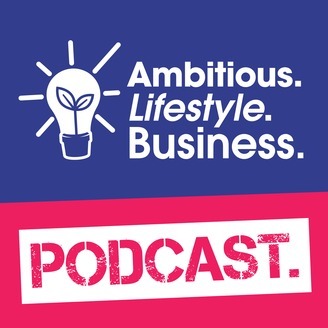 In this episode we are joined by Carly Freemont of 'Freemont Property Solutions' based in Plymouth. Carly talks to us about her career as a professional dancer and how this took an unexpected turn, but more importantly how she overcome this with a positive attitude and threw herself into a brand new venture. Discover what Freemont Property Solutions offer, how Carly continues to focus on her self-development, plus much more. For links to everything we talk about, including the video recording of the episode and transcription of everything we talked about, head over to the show notes at bigidea.co.uk/podcast. And to watch the LIVE recording of each episode of the Ambitious. Lifestyle. Business. Podcast, join our Facebook Group for FREE - you can then watch our ugly mugs in glorious technicolour every month, as well as get BONUS in-between-isodes, and direct access to both of us to ask any questions about this, or any other episode.